A previous Sip & Shuck at the Driftwood Kitchen. The 5th Annual Champagne & Oyster Sip & Shuck fundraiser benefiting Court Appointed Special Advocates of Orange County takes place on Sunday, Nov. 5 from 2-6 p.m. 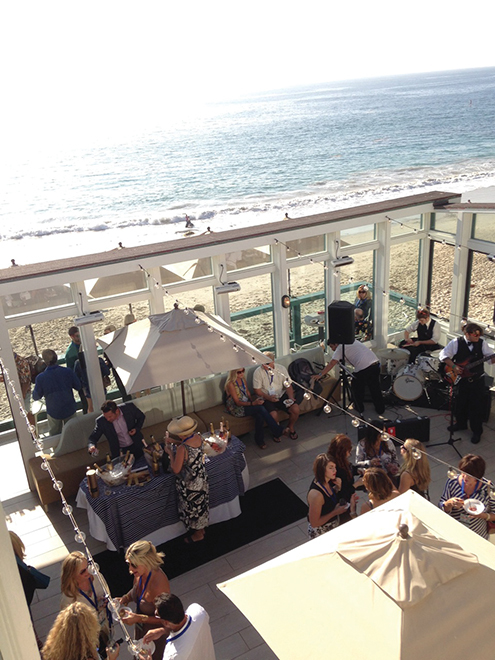 Enjoy a variety of hand-shucked oysters, champagne and sparkling wines while taking in ocean views from The Deck on Laguna Beach, The Bungalows at Pacific Edge Hotel and the Driftwood Kitchen, 619 Sleepy Hollow Lane. Addie Hamilton and others will provide live entertainment. Tickets, $95-$145 for the 21-and-over event are available at sipnshuck.com. Admission includes oysters and small bites and champagne, wine, cocktail and beer sampling. Event attendees looking to enjoy the evening’s celebrations may take advantage of the Pacific Edge Hotel’s Sip, Shuck & Stay packages. CASA of Orange County provides a voice for youth in the child welfare system through a unique one-on-one relationship with trained and supervised court appointed volunteer advocates.